Summer Camp at the Paramount encourages young people to explore acting, singing, dancing, creative writing, production design, and performance. 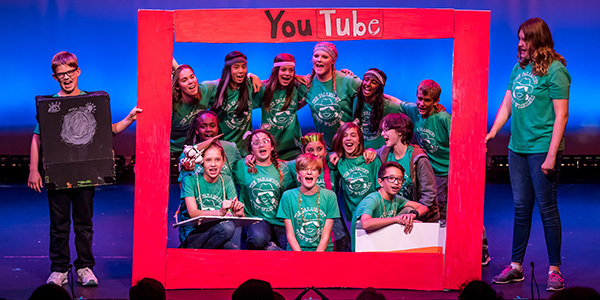 Best of all, every camper will be featured in a final show ON-STAGE at the historic Paramount Theatre! 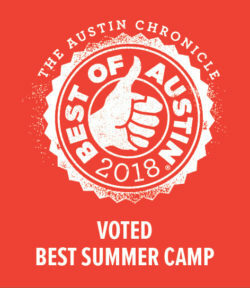 NEW THIS SUMMER, we have added an additional session of Camp Paramount, winner of the 2018 Austin Chronicle Reader’s Poll for Best Summer Camp! 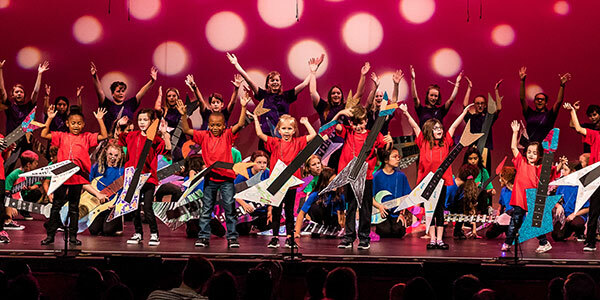 All 2019 summer camps will be hosted at convenient locations throughout Austin, but every session will still have their final day of camp and performance at the Paramount Theatre. (plus a private movie & dinner party inside the Paramount on the day of the show.) We will also offer early care and after care at every camp location. Make lifelong memories performing on the Paramount stage! 6 sessions to choose at locations across Austin! In this fun and fast-paced 2-week musical theatre camp, campers will perform Broadway style musical numbers and iconic pop hits on the historic Paramount Stage! 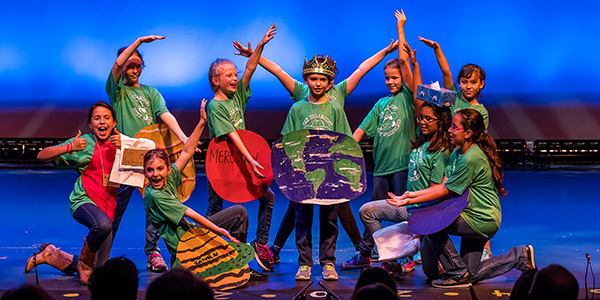 Campers will not only be preparing for their dynamic final performance, but they will also receive training in voice, acting, dance, and production from professionally trained theatre artists. All sessions are different and unique – join us for multiple sessions! If the grade level you are looking for is not available, please join the waitlist. For kids who love to write AND perform! Inspired by our hugely popular in-school Paramount Story Wranglers program, campers will explore story-writing, songwriting, costume and prop design, as well as acting, to create a new, thrilling, hilarious, weird, poignant, SNL-style, you-name-it production. This camp will not only challenge campers to be creative writers, but will challenge them to bring their stories to life! The Paramount Theatre is turned over to our campers on Friday night for their musical-sketch comedy production. Early Care, After Care, extra T-shirts, and Camp video and photo downloads available in the online camp store. If you have any questions or problems you may contact Gale Valley at summercamps@austintheatre.org or (512) 692-0526.